The iPF6450 is the higher end model of Canon’s 24″ large format printers, with an internal disk drive. It also supports the SU-21 spectrophotometer unit (the grey box along the front of the printer, in the photo). The SU-21 does not work with the iPF6400 – there is no connector for the spectro on the printer. 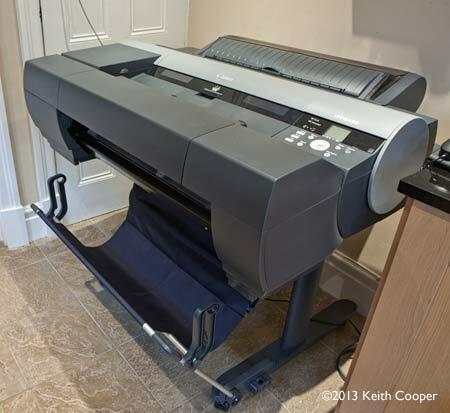 We’ve had an iPF6450 here for a while to try out and Keith has written a lengthy review of the 6450/6400 printer. The printer was kindly loaned to us by Canon UK and included an SU-21. This short review covers some basic testing of the SU-21 with the supplied Canon software, although where such a device is warranted, you might be more likely to use it in conjunction with a RIP to drive it. 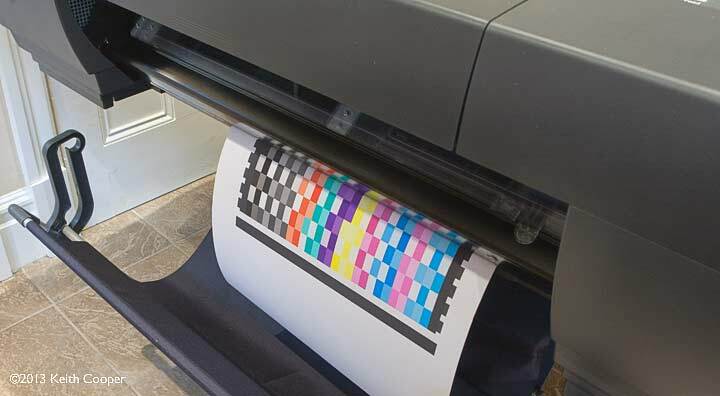 Do remember that our printer reviews are focused much more at the fine art/photography printing market, so the SU-21, which is really aimed at prepress and proofing, is somewhat less relevant to the types of printing we do. 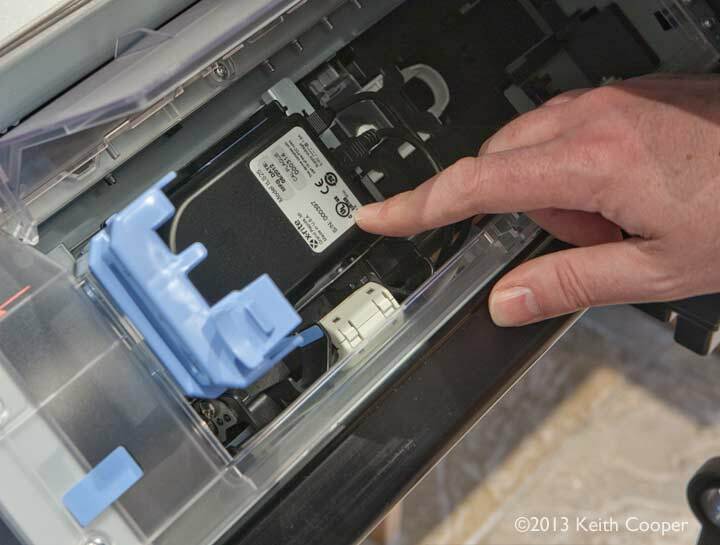 Keith has also written two short guides to the process of assembling the printer and the spectrophotometer unit. The SU21 unit contains a scanning unit with an X-Rite spectrophotometer. 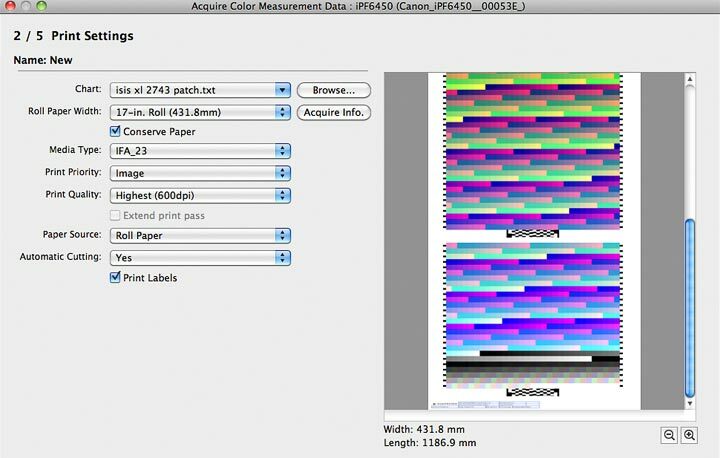 This reads coloured patches from prints, which may be used for printer/media calibration, and profiling. The device also contains a blower unit that speeds up drying time before measurements can be taken. The device is directly controlled via the printer, and has electrical connections (via the stand) for power and control signals. 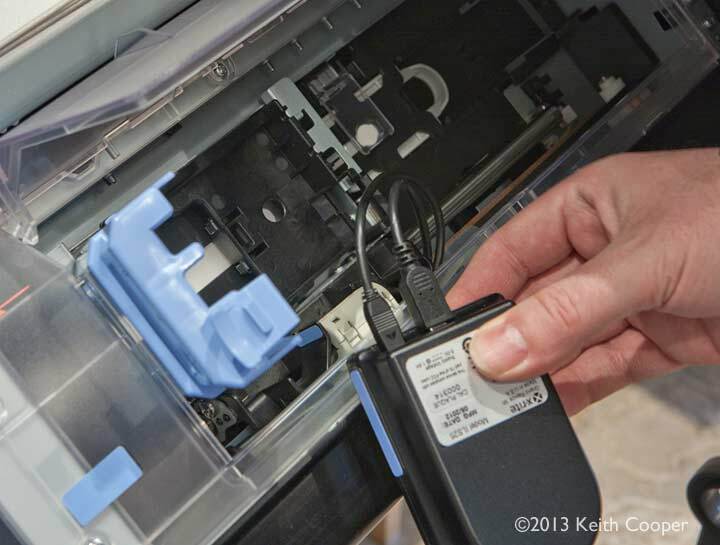 The spectrophotometer is used to scan over output from the printer, using either a white or black substrate. There is also a (cleanable) white calibration tile in the unit. You can see more details of the unit’s construction in the SU-21 assembly article. The XRGA compatible spectrophotometer offers UV cut and UV non cut measurements and is based on the technology used in my own i1 Pro 2 spectrophotometer and i1 iSis that I use with X-rite’s i1 Profiler software for a lot of my printer profiling. One problem with a built in spectrophotometer is drying the print before measuring the colour of the printed target patches. For most papers I’ll leave overnight before measuring, although I know that on many gloss/lustre papers, the Canon Lucia inks are OK to read a lot sooner. The SU-21 unit gets round this issue by including a powerful ‘blower’ unit that force dries media before measurement. 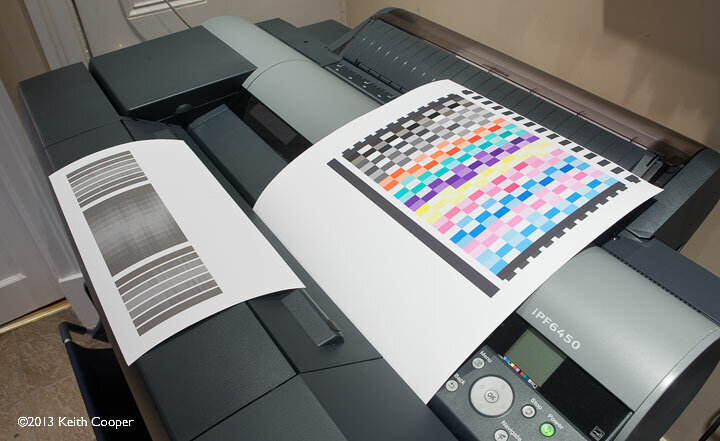 The whole printing/measuring process is carefully balanced to the minimise total time taken. Since I don’t work in a busy press/proofing environment it’s difficult for me to meaningfully judge actual performance, but the quick test of profiling I look at later took well under an hour. 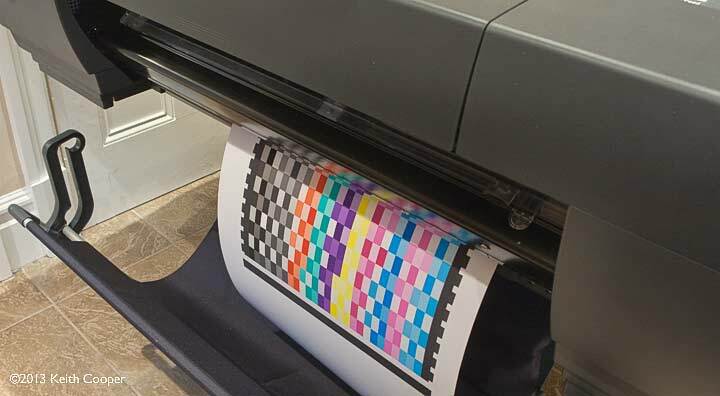 Basic printer calibration is performed using the sensors attached to the print head, however, if you have an SU-21 attached, then it’s also used in this process. 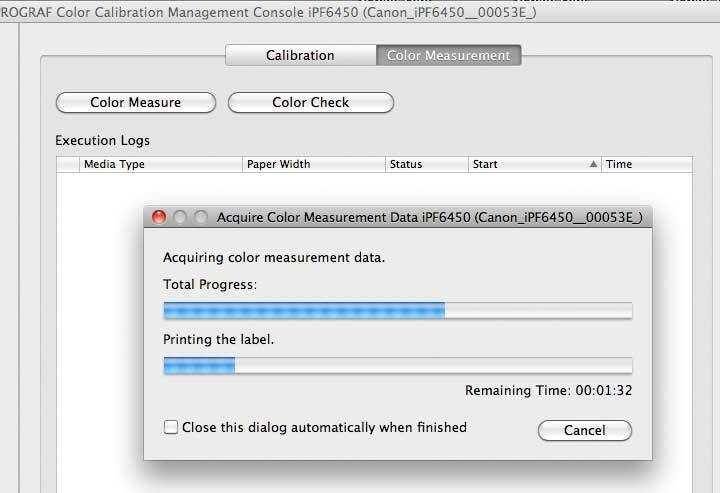 Calibration targets can also be created and measured as part of the custom media settings process outlined in the main iPF6400/6450 review. The print/measurement process takes a while longer than without the SU-21, since the paper is force dried. Move your mouse over the image below to see the measurement unit being raised and lowered. 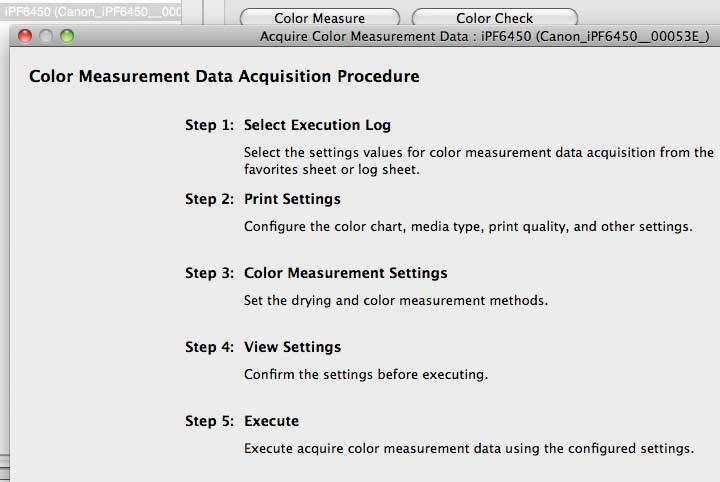 Canon have a PDF document describing calibration linking (between printers) that may be of interest, if you are looking at a larger print setup. 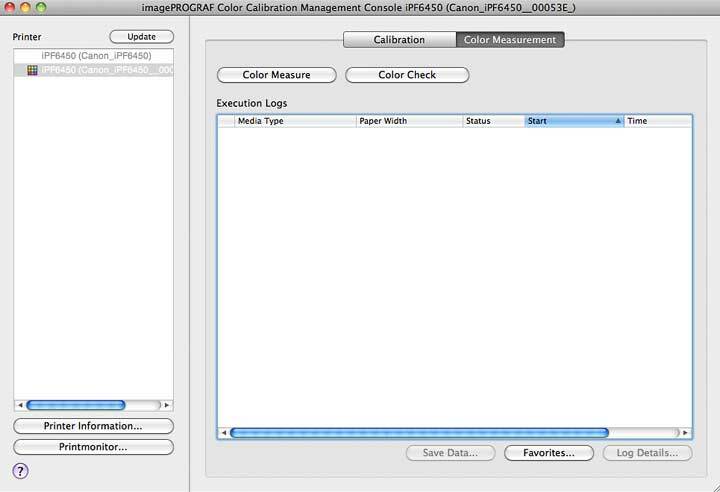 The supplied software is designed for creating and organising calibration and measurement data for one or more iPFx400 printers. The little colour symbol , by a printer name shows that it has a spectrophotometer connected. I’m going to show a fairly basic example of printing a target and using the data to create a profile with external software. Previous runs are recorded in a named execution log – in this instance I’m new to the software, so there are no others listed. There are two ‘built in’ targets available (see later for more about this). 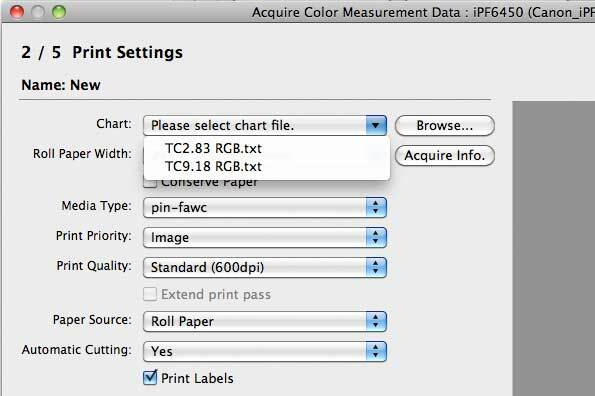 You can select others but note that you can only select colour charts that are CGATS RGB format. The test chart is shown, as it will be printed on your chosen media type. 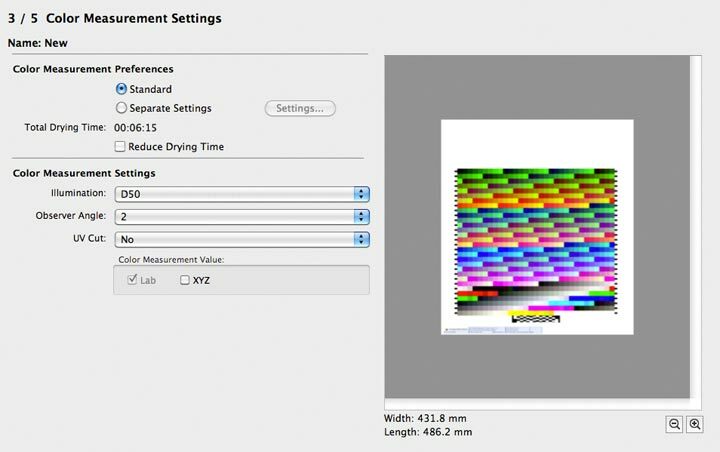 The X-rite spectrophotometer allows for quite a range of measurement options. This functionality is available for 3rd party software developers to use when including the SU-21 in a RIP product. The paper in this instance is a fairly heavy matte art paper, so I don’t really want to reduce the print drying time. The printer then just does it’s stuff for a while, with printing, drying and patch reading all automated. Some half hour later I’ve a printed and measured test chart. I need to export the data to work on it. 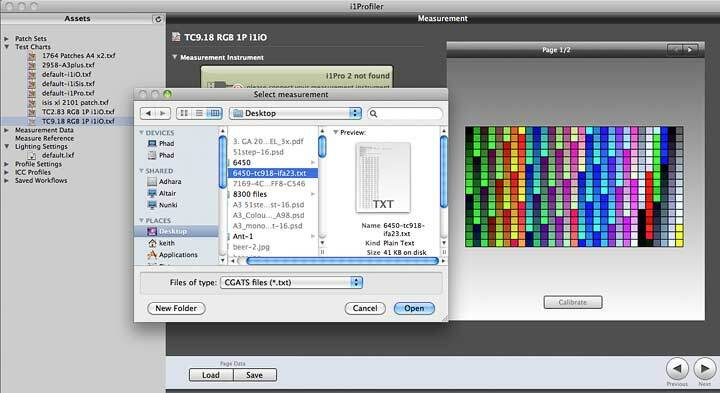 The standard CGATS format is widely used, and works fine with my copy of i1Profiler. Here’s the data, being loaded into i1Profiler. Shortly afterwards, I have an ICC printer profile. The profile works just fine, however, with a printer like this I would normally want to use more than a basic 918 patch target. 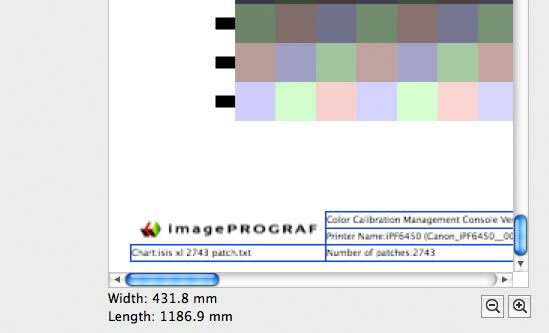 it is possible to include larger patch sets, such as this ~2700 patch one from i1Profiler. If you want to see more about the used file formats, you can find the two ‘built in’ TC2.83 and TC9.18 targets within the application (‘show package contents’ for the application, on a Mac – not sure where on a PC I’m afraid). Zooming in to the view of the target, shows its label. Unfortunately my various attempts at printing the bigger targets all failed (at several different print settings). The documentation doesn’t cover this particular aspect of using the SU-21. Given that the application only outputs data in a relatively basic form (no spectral data) I’d not choose it for my own advanced profiling. 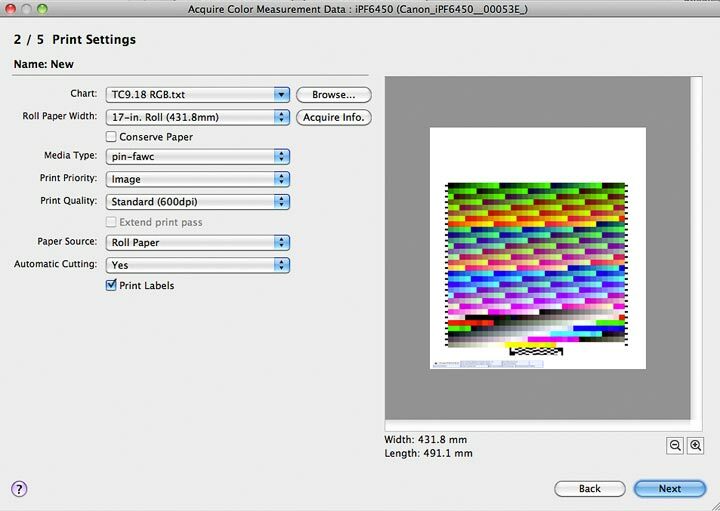 Canon provide a software development kit (SDK) for software developers (of RIPs and the like) where you could make much more use of the spectrophotometer functionality and potentially use it for linearisation and profiling. A very impressive bit of kit that with its speed and measurement options will find ready use in commercial print settings. I’m 6 foot tall and found heavy roll paper handling more difficult with the SU-21 in place. The print drying action (with the built in blower) seems very effective, allowing measurements appreciably sooner than by using normal air drying. Optional spectrophotometer unit, for attaching to the front of the Canon iPF6450 24″ printer. 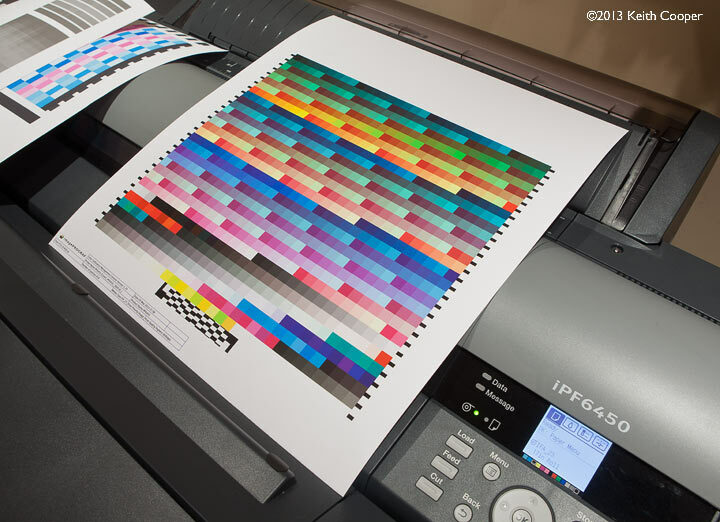 Aimed at the print and proofing market, where a single iPF6450 and spectrophotometer can handle calibration and profiling for a group of Canon iPFx4xx printers. 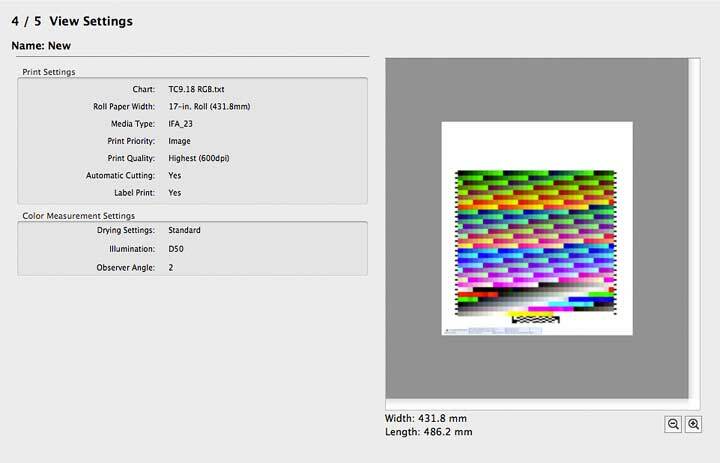 Canon supply a SDK for RIP developers, to get the best from the built in X-rite (XRGA compatible) spectrophotometer.